Varsity Driving Academy is where students from Temescal Valley High School go to learn how to drive on their own time. We embed the idea of safe driving into all of our students. The best part is, you can learn from the comfort of your own home. 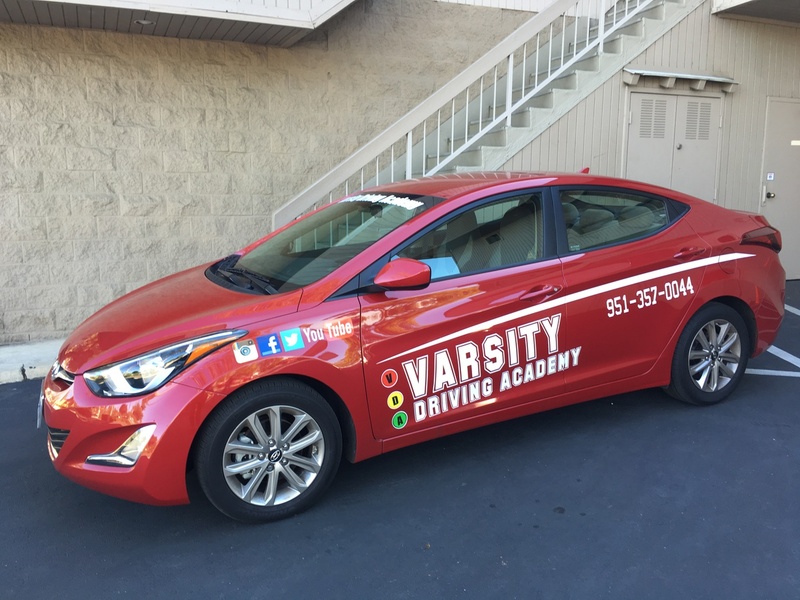 Welcome to Varsity Driving Academy Temescal Valley High School! Parents! Get used to not having to drive your students everywhere by taking advantage of our free pick-up and drop off service for behind the wheel training sessions. More information below. Learning to drive has long been a part of growing up. However, as we continue to advance in technology, so should that tradition of attending driving school. We have done just that by offering our driving course to the internet. Signing up with Varsity Driving Academy means signing up to have the freedom to learn when you want, as fast or as slow as you want and without having to sacrifice any necessary knowledge. Students will create a username and password and can save their progress after each session. We don’t require you to finish at a set time and will always be there to help you if you have any questions. The next step of the tradition of driving school is to get behind the wheel and practice what you’ve learned. Each session is a 2-hour long session for three sessions. That is how we meet the requirements set by the DMV. How did we advance that tradition? We alow you to schedule your sessions as you see fit. We also only have one student in the car per session. We want everyone to feel comfortable asking questions and making mistakes. This is how we can pinpoint where we need to focus during training sessions in order to make an excellent and safe driver out of all of our students. Our DMV package advances traditions even further. We will become your concierge by making all appointments with the DMV that you will need to complete this stage of life. The most important appointment being the final driving test. We then pick students up and head to the DMV. Once there, we hand over the keys to our car. We feel this is the best way for students to pass because you’ve all been practicing in this car for months and feel comfortable behind this particular wheel. Check out our contact us page to get the answers to the questions you may have (951)-357-0044. Our vehicles are hand picked for their safety rating. making sure our students and trainers are safe when practicing in the real world is very important to us.